Online business directory service Yell.com has struck a deal with video tutorial site VideoJug to provide around 50,000 of its "how to" and "ask the expert" videos. 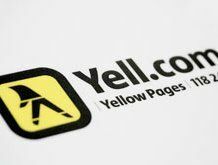 The deal is part of a "root and branch" overhaul of Yell.com that aims to transform it from its present incarnation as a dour yet fully functional business directory into an all-singing, all-dancing, err, fully-functional business directory. To this end Yell.com executives have already spoken of the need to "enhance" the user experience of using the site – a sentiment that will no doubt resonate with those poor souls urgently trying to find a local plumber through the site to come and unblock their drain. In addition to the VideoJug deal, Yell.com has also announced that it will be setting up a network of around 100 blogs designed to provide information and advice in relation to the site's numerous business categories. Although details on this currently remain sketchy, we would imagine they will include advice and information on anything from unblocking your own drain to organising a children's party. Speaking about the decision to provide additional multimedia content, Yell.com's head of content, Nick Haworth, said: "Over the coming months we plan to work with publishers, bloggers and loval business to find content that helps Yell.com users make better, more informed buying decisions."